¶ 3 Leave a comment on paragraph 3 0 How this song ended up in Dylan’s repertoire is a complicated, convoluted story with no definitive answer. But it’s a great example of the “folk process”, the term used to describe how a song evolves over time and becomes a “new” song. ¶ 4 Leave a comment on paragraph 4 0 Here’s the condensed version of the story. During the spoken introduction on the recording, Dylan says that the first version he heard was by his friend and fellow folk musician Eric Von Schmidt. Von Schmidt however, said in a 1993 interview published in SongTalk: The Songwriter’s Newspaper, that Dylan’s version is not his arrangement. 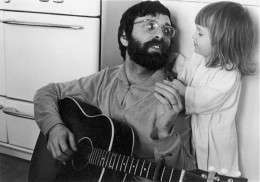 Von Schmidt said that he had copied it from another folksinger, Geno Foreman, who in turn had found it on a Blind Boy Fuller album . He goes on to say that Dave Van Ronk’s version possibly influenced Dylan. All of these versions were titled Baby, Let Me Lay It on You. ¶ 7 Leave a comment on paragraph 7 0 We will probably never know exactly who Dylan got the song from and whose version he used. But the story of its evolution is enlightening. For what it’s worth, the composition is credited to Davis on the Last Waltz, the Martin Scorsese documentary of The Band’s final concert. It’s credited to Schmidt on www.bobdylan.com. Fuller and Lipscomb get no love at all. ¶ 8 Leave a comment on paragraph 8 0 Dylan’s version on his first recording is interesting, although the raucous electric version that he and The Band did for the The Last Waltz concert is the best, in my opinion. ¶ 11 Leave a comment on paragraph 11 0 I first heard this from Ric von Schmidt. He lives in Cambridge. The green pastures of the Harvard University. ¶ 13 Leave a comment on paragraph 13 0 Can I come home with you, baby can I come home with you ? ¶ 18 Leave a comment on paragraph 18 0 Mama, let me lay it on you. ¶ 19 Leave a comment on paragraph 19 0 I’ll buy you Stragler shoes. Please M’am, let me lay it on you. ¶ 20 Leave a comment on paragraph 20 0 I’ll buy you a bag and suit. ¶ 21 Leave a comment on paragraph 21 0 Why, I’ll buy you a Kingdom dress. Baby, I don’t want no mess. Let me lay it on you, I ain’t joking. Goin’ lay it on you. ¶ 22 Leave a comment on paragraph 22 0 Now baby, let me lay it on you. ¶ 23 Leave a comment on paragraph 23 0 I’ll buy you a fish-tail coat. Mommy please, let me lay it on you. ¶ 24 Leave a comment on paragraph 24 0 I’ll buy you a Cadillac car. ¶ 25 Leave a comment on paragraph 25 0 Let me lay it on you. Please M’ am, let me lay it on you. Oh baby, let me lay it on you.